Favorite Accessory: Michael Kors Runway Twist Watch! Today I wanted to share with you one of my favorite accessories that I’ve been wearing for the last few months! 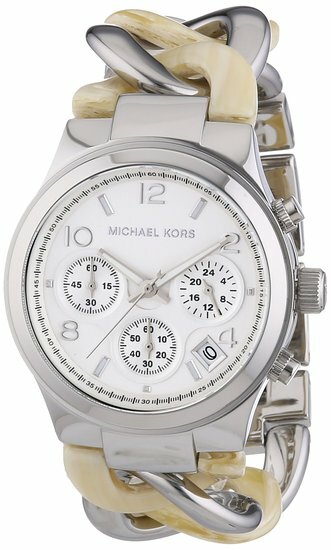 It is the Michael Kors Chronograph Runway Twist Stainless Steel Watch in the colors alabaster acetate and silver. You can get it at numerous locations but this one is listed on Amazon for $138. It is style number. It also comes in gold, my friend has it in gold + tortoise, and it also comes in rose gold. These watches are perfect for whether you are going shopping during the weekend or doing a business presentation for work! The Walk Atlanta Fashion Show!